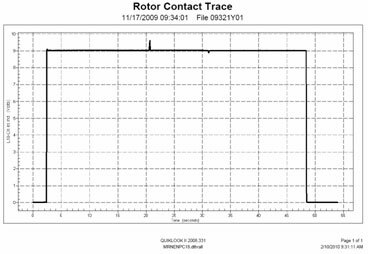 Teledyne Test Services' Rotor Contact Indicator (RCI) provides the valve tester with a means to monitor unpowered circuits (dry contacts) such as computer points and interlocks as well as assisting with adjustments of critical limit switch settings such as closed torque switch bypass. 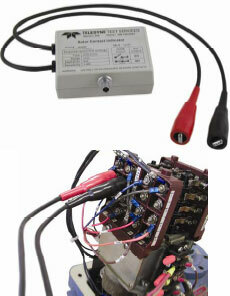 The RCI provides a usable signal for input to the QUIKLOOK 3 Data Acquisition Systems. The Rotor Contact Indicator(P/N 160009) is used with QUIKLOOK 3 or QL II+ Systems and connects directly to the QUIKLOOK cable set.